Fernandina Island first appeared in 1684. Its Spanish name, Fernandina, was given to honor King Fernando of Spain, who sponsored Christopher Columbus’ trip. The island is most famous for its continuing series of volcanic eruptions who have been witnessed by its early visitors. The most famous of these is the description of a violent eruption in 1825 by Benjamin Morrell, the captain of the New York-based schooner Tartar. La Cumbre Volcano is a shield volcano whose summit caldera is approximately 6.5 km wide. During an eruption in 1968, the caldera collapsed, resulting in a 350 m fall. The northern bottom of the caldera has held a small lake, whose size, boundaries and position have periodically altered during eruptions. Recent eruptions have occurred both in the caldera and on the outer slopes of the volcano, with some of them reaching the sea. This, is one of the many eruptions recorded by the Galapagos National Park. All not to worry, the entire population has accustomed to them since there is no impact on mainland. Fernandina remains the most active and most pristine of the Galapagos volcanoes. The island has a large land iguana population, which nests both on the rim of the caldera and in its depths. Due to the cold, upwelling waters of the subsurface Cromwell Current that hit the archipelago from the west where it is pushed to the surface, the waters surrounding Fernandina and western Isabela are the richest waters in the archipelago. These cold waters also provide prime habitat for both Flightless Cormorants and Galapagos Penguins. This visitor site offers two major components – the short walk around the small peninsula and a longer walk inland to the edge of a large aa lava flow. This point has been raised and lowered a number of times as a result of geologic activity throughout its history, with the last known activity in 1975, when it was raised approximately 40 cm, leaving corals and red mangroves exposed. 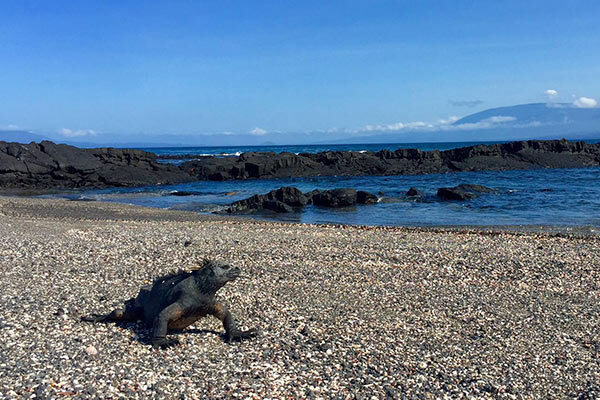 The highlights along the coast include Marine Iguanas and Flightless Cormorants. The Marine Iguanas nest here in the early part of the year with young emerging around June. At that time, snakes are commonly seen in the nesting zone. Other attractions include penguins, sea lions, Sally Lightfoot Crabs, and occasionally Galapagos Hawks and land iguanas. CactiPunta Espinosa is also one of the best places to see the Lava Cactus. One of the first species to grow on young lava, it can survive with very little water. The walk inland is predominantly through a pahoehoe lava field but it ends at a great wall of aa lava. Two dive sites are also located on Fernandina. The first is adjacent to the land site at Punta Espinosa and the second further to the south at Punta Mangle. 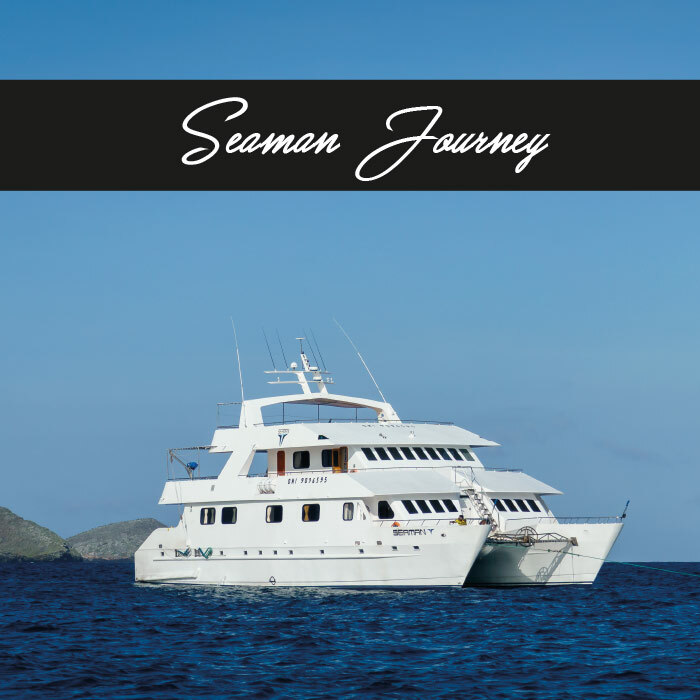 Both are good sites for observing Flightless Cormorants and Galapagos Penguins, sea horses, marine iguanas, sea turtles, and various species of sharks and rays.